The draws have been made today for the Walsall Senior Cup and Staffordshire Senior Cup. Khalsa have been drawn against Midland Football League Division One outfit Paget Rangers in the first round of the Walsall Senior Cup. The winner of that game will progress to face Bilston Town in the second round. 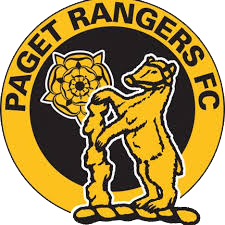 Paget – who play at Coles Lane in Sutton Coldfield – are currently in 12th place in the league, their most recent result being a 5-0 reverse against Racing Club Warwick. The last meeting between the two sides was February 2016 when Khalsa beat Paget 3-1 in the quarter final of the JW Hunt Cup, thanks to two goals from Craig Bannister and one from Marvin Nisbett. Additionally, Khalsa have been drawn at home against North West Counties League Division One side Eccleshall in the first round of the Staffordshire Senior Cup. At the time of writing, Eccleshall sit 16th in the league, having won two and lost three of their games so far this season. If successful, we will travel to face the winners of the first round game between Hanley Town and Stone Old Alleynians in the next round. The date of the games have yet to be confirmed. Keep an eye on Twitter the fixture list (link below).